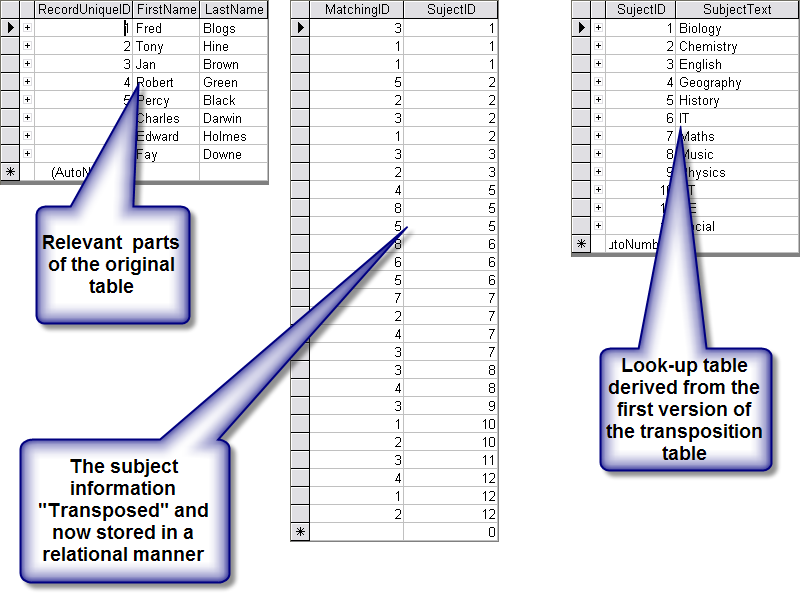 Using the normalization form we converted part of a spreadsheet type table into the beginnings of a relational table. 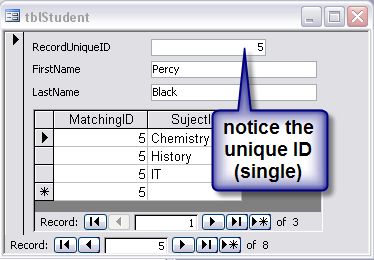 From this table we derived a “look up table” now giving us a total of three tables, the remains of the first table, “tblStudent” (the student names), the next table “tblStudentSubject” stores the subject(s) related to each student, and finally a third table, “tblSubject” a “look-up table” to store the actual subject description. 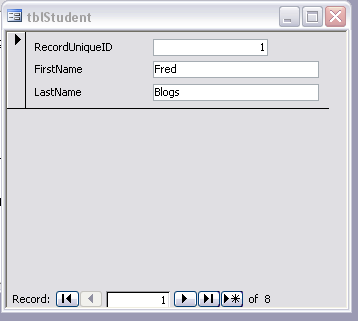 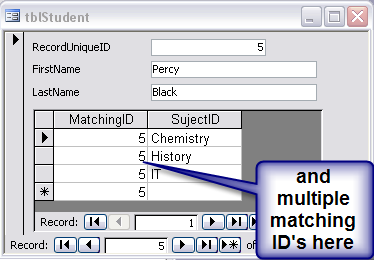 Using the wizard create a basic form from the student table and name it “frmStudent” arrange its size so it has some open space as shown. 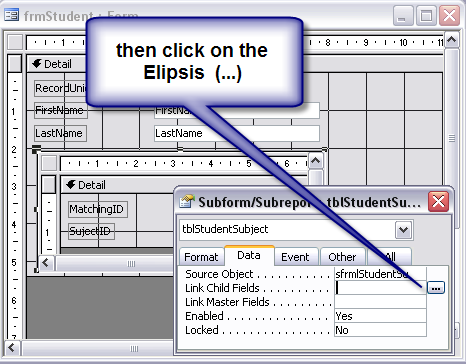 You may wish to delete the text box, you don’t have to but I usually find it looks better without it. 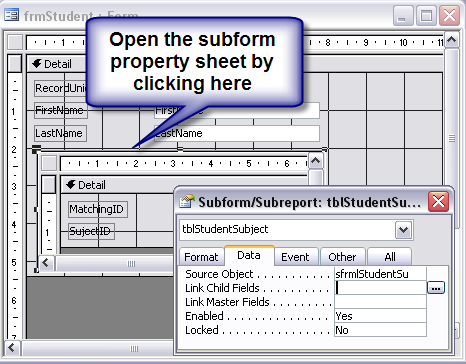 Now the next bit is tricky, for two reasons, the form isn’t really on top of the other form, it actually sits in a subform window and you need to gain access to the properties of this subform window by clicking on the tiny line that you can just see around your subform. 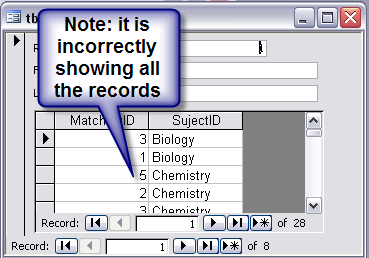 This can be a difficult task to master first time. 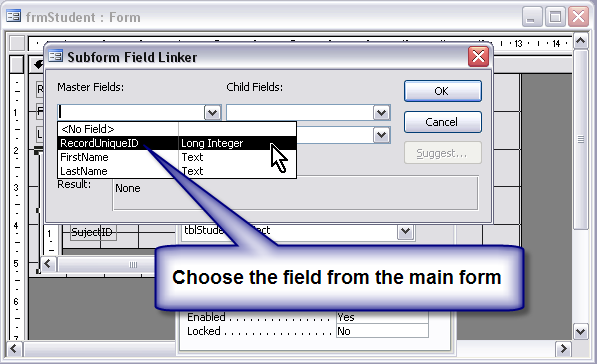 Then select the fields which contain the data that link the two forms together, the master field will be the “Main Form” and the child field relates to the subform. 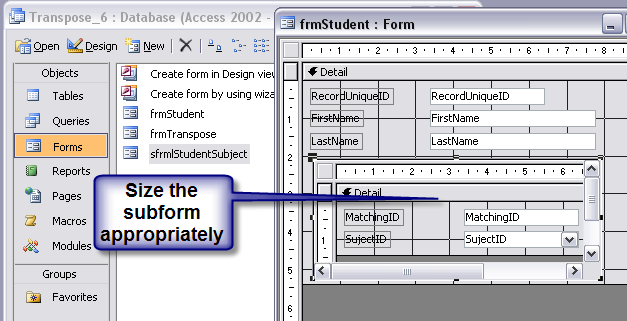 Notice how the master form ID and the subform ID(s) now match. 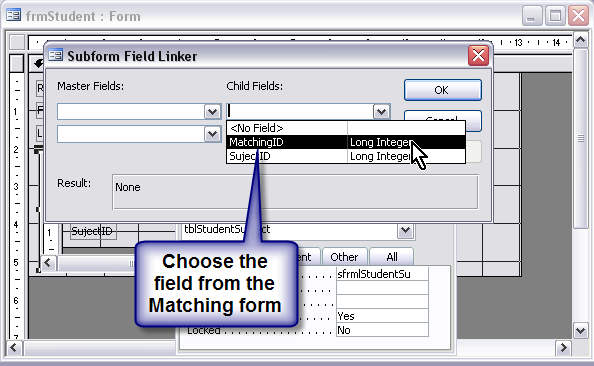 You may wish to delete the ID field from the subform, it is not necessary for the maintenance of the link between the two forms.